With Barcelona once again confirmed as a finalist for the Copa del Rey after their victory over Real Madrid, the focus now turns to the Mestalla where Valencia host Real Betis after the first leg ended in a 2-2 draw at Benito Villamarín Stadium. The Los Che trailed 2-0 after 54 minutes before Kevin Gameiro came off the bench to help them level the match. 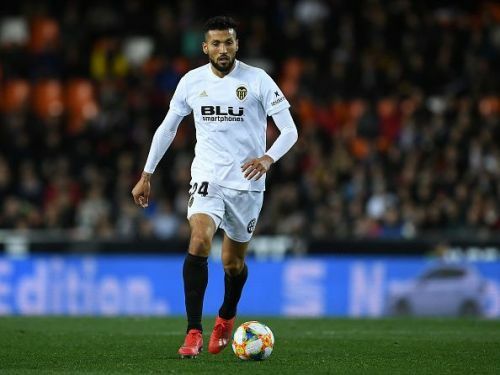 The French striker assisted Denis Cheryshev to score the opener in the 70th minute before leveling the score himself with an injury time goal in the 92nd minute to give Valencia two precious away goals. The Los Che boast an impressive record at home this season with the team having lost just twice all season. Marcelino García Toral and his men are 13 matches unbeaten at home in all competition with their last defeat coming against Girona way back in November in the LaLiga. Valencia will be hoping to get their first Copa del Rey final appearance since their victory in 2008. Real Betis would have been fuming after letting go of a two-goal advantage in the first leg of the match. Betis have poor away record recently with just a single win in their last seven matches. The victory though came last weekend at the Jose Zorilla stadium against Valladolid. Real Betis will need to win the match or score more than 2 away goals if they are to get into their first final since winning it in 2005. The host has an almost fit squad to call upon with Argentine centre-back Ezequiel Garay the only player out with an injury. Mouctar Diakhaby will also be back after serving a 4-match suspension. Real Betis have a minor injury crisis upon their hands with Cristian Tello, Antonio Barragan, Diego Lainez, and Jese all doubtful for the fixture. Junior Firpo remains the only player who has been ruled out with injury so far.